Nokia, our platform is on fire so crude is expressed the CEO of Nokia, Stephen Elop, in one internal memory He sent yesterday to the workers of the company explaining the situation of the Finnish giant. That Nokia is not going through a good moment, is something that already only deny the die-hard fanboys of the Finnish, but is the first time we read an internal document that not only recognizes this situation, but that the express in hard termss. Although international media that the letter is authentic, since communication of Nokia Spain not been able to confirm anything and are located to the Conference Stephen Elop will give this same Friday to explain the the company’s future strategy. The so-called letter of Stephen Elop is a huge ears pull the staff of Nokia for having lost so much time. The document recognizes the supremacy of Apple in the high-end smartphone segment (understand it refers to United States, rather than Europe) and highlights how Android, in just two years, it has spread in high-end mobile and now threatens the range market media, a stronghold where Nokia had the supremacy. The letter also points to the emerging markets in China as a competitor which is giving very hard Nokia mobile low range by its higher production capacity. If you want our opinion, the letter is authentic, but doesn’t say anything that we don’t already know. 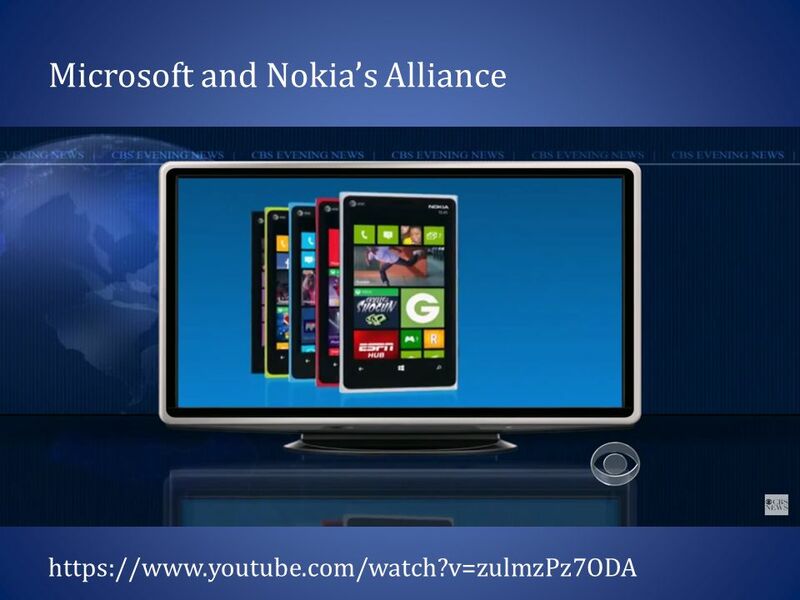 The lack of new and accurate information suggests that this may be one deftly Elop to create excitement to their Conference on Friday and, incidentally, for preparing the ground within Nokia and stifle any possible protest by the Symbian-Boys if he announces a radical volantazo in terms of operating system. Then we leave you with the original letter, that Yes, in English. There is a pertinent story about a man who was working on an oil platform in the North Sea. I woke up one night from a loud explosion, which suddenly set his entire oil platform on fire. In mere moments, I was surrounded by flames. Through the smoke and heat, he barely made his way out of the chaos to the platform ’ s edge. When I looked down over the edge, all I could see were the cold, dark, foreboding Atlantic waters. As the fire approached him, the man had mere seconds to react. He could stand on the platform, and inevitably be consumed by the burning flames. Or, I could plunge 30 meters in to the freezing waters. The man was standing upon a “ burning platform, ” and I needed to make a choice. I’ve decided to jump. It was unexpected. In ordinary circumstances, the man would never consider plunging into icy waters. But these were not ordinary times – his platform was on fire. The man survived the fall and the waters. After he was rescued, he noted that to “ burning platform ” caused a radical change in his behaviour. We too, are standing on a “ burning platform, ” and we must decide how we are going to change our behaviour. Over the past few months, I ’ shared with you what I ve ’ ve heard from our shareholders, operators, developers, suppliers and from you. Today, I ’ m going to share what I ’ ve learned and what I have come to believe. For example, there is intense heat coming from our competitors, more rapidly than we ever expected. Apple disrupted the market by redefining the smartphone and attracting developers to closed, but very powerful ecosystem. In 2008, Apple ’ s market share in the $300 + price range was 25 percent; by 2010 it escalated to 61 percent. They are enjoying a tremendous growth trajectory with a 78 percent earnings growth year over year in Q4 2010. Apple Funcionários that if designed well, consumers would buy a high-priced phone with great experience and developers would build applications. They changed the game, and today, Apple owns the high end range. And then, there is Android. In about two years, Android created a platform that attracts application developers, service providers and hardware manufacturers. Android came in at the high end, they are now winning the mid-range, and quickly they are going downstream to phones under €100. Google has become to gravitational force, drawing much of the industry ’ s innovation to its core. Let ’ of not forget about the low end price range. In 2008, MediaTek supplied complete reference designs for phone chipsets, which enabled manufacturers in the Shenzhen region of China to produce phones at an unbelievable pace. By some accounts, this ecosystem now produces more than one third of the phones sold globally – taking share from us in emerging markets. The first iPhone shipped in 2007, and we still don ’ don’t have a product that is close to their experience. Android came on the scene just over 2 years ago, and this week they took our leadership position in smartphone volumes. Unbelievable. 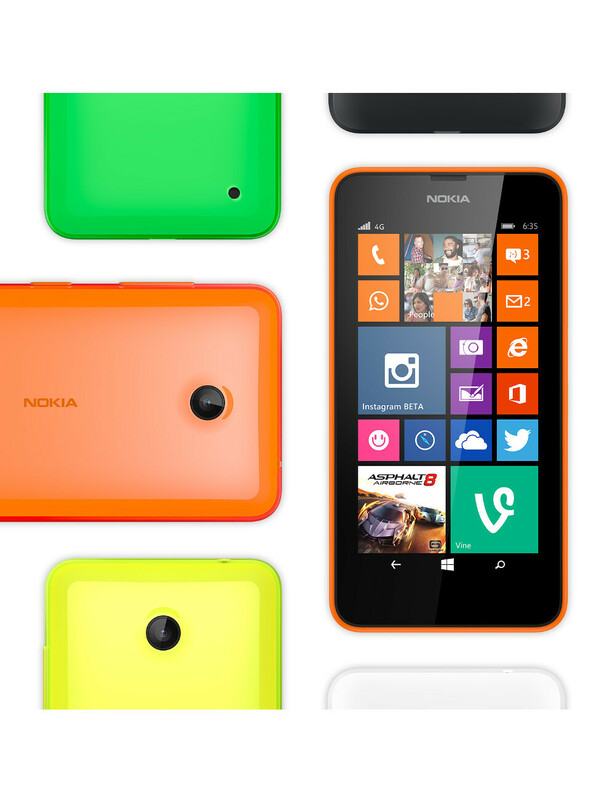 We have some brilliant sources of innovation inside Nokia, but we are not bringing it to market fast enough. 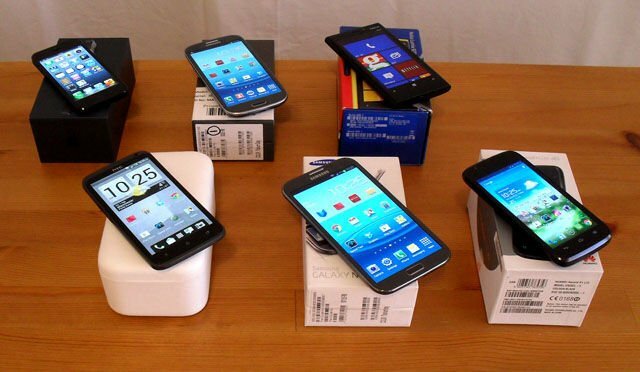 We thought MeeGo would be a platform for winning high end smartphones. However, at this rate, by the end of 2011, we might have only one MeeGo product in the market. At the midrange, tenemos Symbian. It has proven to be non-competitive in leading markets like North America. Additionally, Symbian is proving to be an increasingly difficult environment in which to develop to meet the continuously expanding consumer requirements, leading to slowness in product development and also creating a disadvantage when we seek to take advantage of new hardware platforms. As a result, if we continue like before, we will get further and further behind, while our competitors advance further and further ahead. At the lower-end price range, Chinese OEMs are cranking out a device much faster than, as one Nokia employee said only partially in jest, “ the time that it takes us to polish to PowerPoint presentation. ” They are fast, they are cheap, and they are challenging us. And the truly perplexing aspect is that we ’ re not even fighting with the right weapons. We are still too often trying to approach each price range on a device-to-device basis. The battle of devices you have now become a war of ecosystems, where ecosystems include not only the hardware and software of the device, but developers, applications, ecommerce, advertising, search, social applications, location-based services, unified communications and many other things. Our competitors aren ’ t taking our market share with devices; they are taking our market share with an entire ecosystem. This means we ’ re going to have to decide how we either build, catalyse or join an ecosystem. This is one of the decisions we need to make. In the meantime, we ’ ve lost market share, we ’ ve lost mind share and we ’ ve lost time. On Tuesday, Standard & Poor ’ s informed that they will put our to long term and A-1 short term ratings on credit watch negative. This is similar to the one that Moody action rating ’ s took last week. Basically it means that during the next few weeks they will make an analysis of Nokia, and decide on a possible credit rating downgrade. Why are these credit agencies contemplating these changes? Because they are concerned about our competitiveness. Consumer preference for Nokia declined worldwide. In the UK, our brand preference has slipped to 20 percent, which is 8 percent lower than last year. That means only 1 out of 5 people in the UK prefer Nokia to other brands. It ’ s also down in the other markets, which are traditionally our strongholds: Russia, Germany, Indonesia, UAE, and on and on and on. This is what I have been trying to understand. I believe at least some of it has been due to our attitude inside Nokia. We poured gasoline on our own burning platform. I believe we have lacked accountability and leadership to align and direct the company through these disruptive times. We had a series of misses. We haven ’ t been delivering innovation fast enough. We ’ re not collaborating internally. We are working on a path forward — to path to rebuild our market leadership. When we share the new strategy on February 11, it will be a huge effort to transform our company. But, I believe that together, we can face the challenges ahead of us. Together, we can choose to define our future.